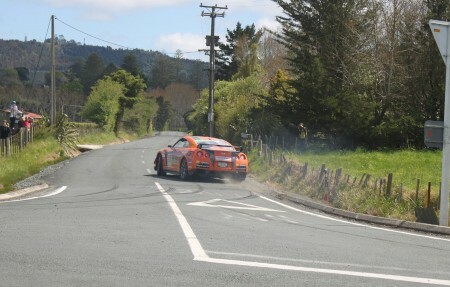 The fourth day of the five days of Targa New Zealand is complete, and Tony Quinn still sits on top of the leader board in his very fast Nissan GT-R. Glenn Inkster in his Evo took a 1 minute penalty, probably for tires, but I will find out later today. In 3rd spot 2 minutes back from Glenn is another Glenn in an Evo, Glenn Smith. 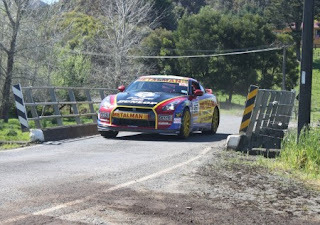 Also taking a one minute penalty was Clark Proctor in his Nissan GT-R, about two minutes back from the Evo X. Just forty seconds back from Clark is Steve Millen in his Nissan GT-R. Today is the final day of the event. Targa NZ 2011 Day Four Report from Targa NZ on Vimeo.